Global technology leader Cisco is investing $1 million in partnership with the South Australian Government and the City of Adelaide to measure the dwell time and queue length of vehicles as they wait at a busy city intersection, a key element for congestion monitoring. It is also calculating rolling averages across the day via a customised dashboard and a suite of metrics that show how well the traffic light sequences are operating at that intersection. Built on Cisco Kinetic for Cities, a first of its kind IoT operations platform designed to unlock the power of data from billions of connected devices, the pilot has two phases. In the first phase, six sensors will be set up at the busy intersection of Grenfell and Pulteney streets in the heart of Adelaide’s CBD. These sensors, pictured above, will gather intersection-approach traffic information, such as location and speed of vehicles as well as pedestrians. With this information, tailored algorithms to recommend traffic light intervals can be proposed to improve traffic and pedestrian-crossing flow. The second phase involves an assessment of whether the same infrastructure can be applied to quickly and accurately determine the location and movements of autonomous vehicles, which is critical to being able to manage, direct and control driverless cars. The initial pilot began on 29 January through to 3 February. Following the trial, other intersections in Adelaide will be selected to potentially test and scale the solution city wide followed by a national roll-out. Other technology companies including QuantumIT, SQLstream, Quanergy, Astrata, Data#3, and Bartco Visual Information Systems have also played an integral part in the pilot. In 2015, Cisco named Adelaide as its first smart and connected ‘Lighthouse City’ in Australia, one of nine across the world. The agreement gives the South Australian capital access the Cisco’s global network and a partnership in the Internet of Things. South Australia also has a history of involvement with autonomous car research and in 2015 held the first driverless car trials in the Southern Hemisphere. It hosts a number of leading autonomous car companies including Cohda Wireless and RDM Group, which opened its Asia-Pacific headquarters in Adelaide last year. Cisco Australia & New Zealand Chief Technology Officer Kevin Bloch said the team was looking forward to analysing the results of the pilot. 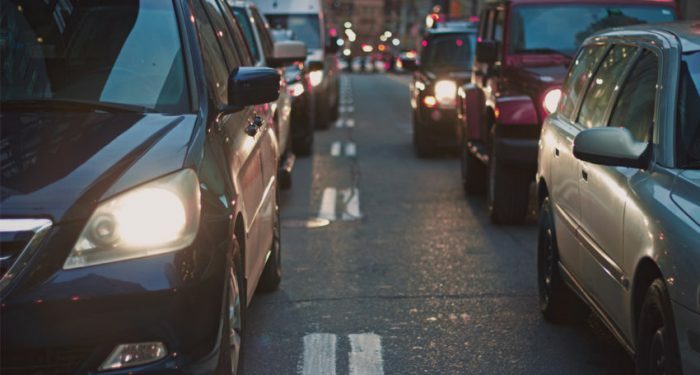 “Traffic congestion in Australia’s cities is getting worse, and we need to act now before autonomous vehicles join our already busy roads,” he said. South Australian Science and Information Economy Minister Kyam Maher he was pleased Cisco had given Adelaide the opportunity to develop and trial its smart city technology. “It’s a vote of confidence in our growing innovation ecosystem and boosts our reputation as a global leader in adopting smart technologies and smart solutions,” he said.